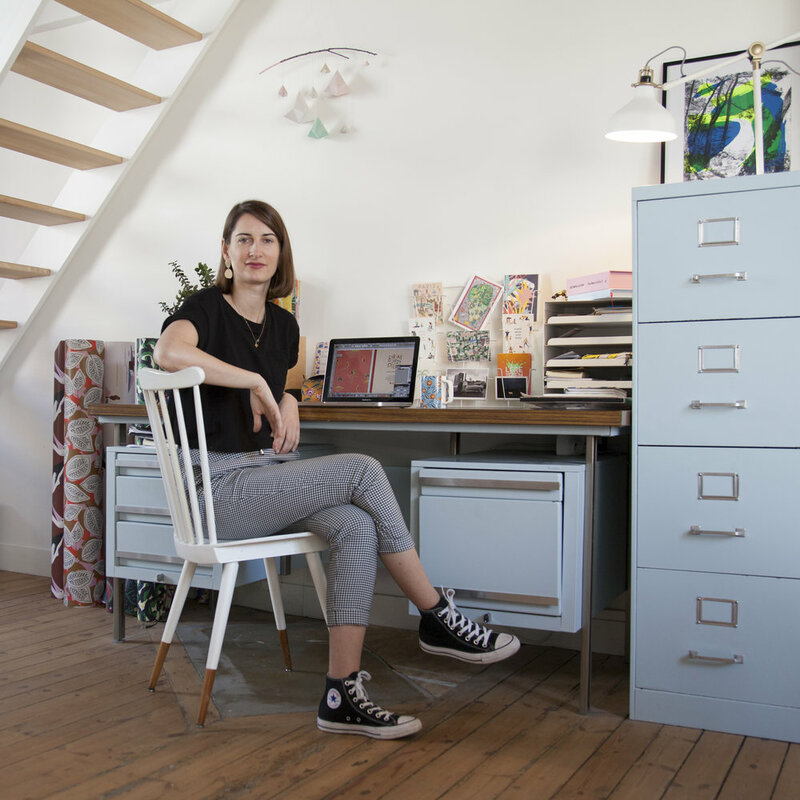 Caroline from Bikini sous la Pluie is a french surface pattern designer. After studying and earning her stripes in Paris for 10 years, she now lives and works in the dynamic city of Nantes, on the west part of France. Every day, she rides her bike to go to her light-filled workspace that she shares with a bunch of creative people. Caroline style is graphic with a vintage touch. She loves to play with colors and to tell stories through figurative patterns.